Schedule your GMC service today! Car owners choose GMC for its long-lasting performance and durability. The bold sculpture and beautiful details make it the ideal outdoor companion. Set apart from other auto brands, GMC boasts a robust and permanent grille that gives it a distinct, edgy look. 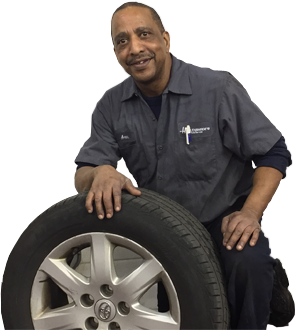 At Hollenshade’s Auto Service, your GMC repairs are in good hands. Our ASE-certified technicians are trained to service your GMC vehicles. We pay close attention to quality and precision, making us the leading dealership alternative in Towson, Maryland. Depending on your driving style, your clutch may last about 200,000 km, but it could wear out over time and need replacing sooner than expected. Driving a car with a failing clutch can damage other parts of your transmission and lead to higher costs down the road. Leave your GMC clutch inspections and replacements to the auto experts; we keep your car reliable and responsive on the road. Everyday use of your car subjects its differential fluid to high temperatures. Over time, this breaks down the fluid and increases the friction between the gears. Proper lubrication of your differential components keeps the gears functioning correctly so you can achieve a smoother ride. We conduct differential diagnosis and repairs in Towson, Maryland. Our technicians inspect your car’s differential fluid then replace it according to GMC recommendations. A well-maintained exhaust system keeps toxic fumes out of your car cabin. It also dampens engine noises. During our exhaust leak repair services, we thoroughly inspect each part of your exhaust system and inform you of any broken parts. We are the leading dealership alternative in Towson, MD. Here, we conduct cost-effective exhaust leak repairs so you can drive with peace of mind with a muffler and exhaust system that is suited for your car and the environment. Cooling systems remove excess heat from the engine and the power transmission system. Leaks, overheating, and squealing noises when starting your car, however, could point to a cooling system problem. Our experienced automotive professionals conduct cooling system diagnosis and repairs. We pay attention to fluid densities and the overall performance of your vehicle.